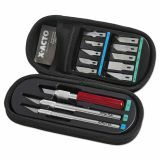 Note: A minimum quantity of 36 must be ordered, and in units of 3 thereafter. 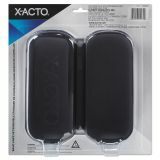 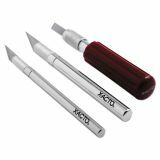 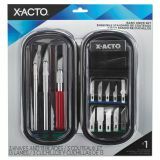 X-ACTO Knife Set, 3 Knives, 10 Blades, Carrying Case - Basic Knife Chest contains Nos. 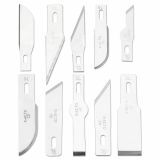 1, 2 and 5 knives plus 13 assorted blades. 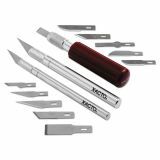 Instruments are designed for precision cutting of material. 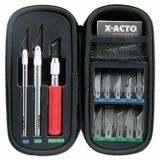 Carrying case has fitted slots for each knife and blade.